I feel let down when I see the Dear Leader up close, because I am confronted by an old man who looks nothing like the familiar image of the People’s Leader. Even though we are clapping fervently and cheering for him, he doesn’t respond or even seem to notice. He continues to play with his puppy, as if resentful of being surrounded by men who are younger than him (Dear Leader, xvii). This was Jang Jin Sung’s reaction when he met Kim Jong Il for the first time. 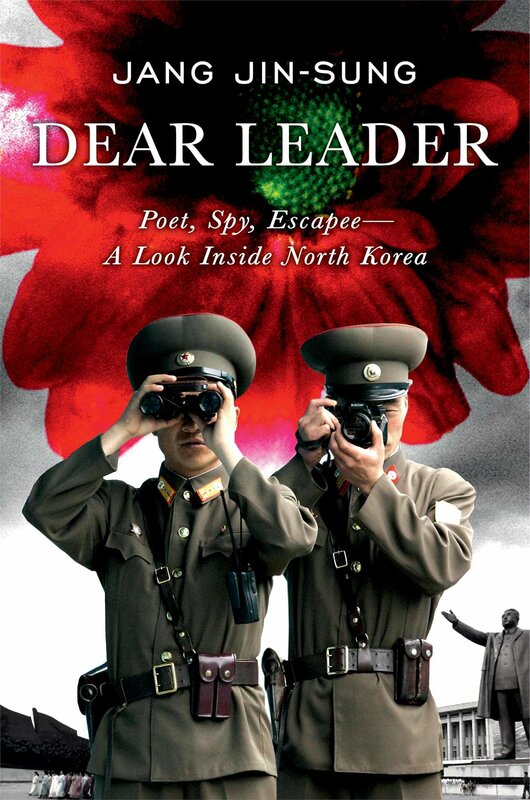 Mr. Jang had been brought up to believe in the divinity of Kim Jong Il’s father, Kim Il Sung. During the 1970s-80s , Kim Il Sung came to be viewed as more of a God than a great leader. And after his death in 1994, the belief in his deity only increased. For example, three years after his death, the NK calendar officially changed by marking “Kim Il Sung’s birthday, April 15, 1912, as the first year of the new Juche Calendar.” And Kim Il Sung came to be remembered and worshiped as the Eternal President and the Sun whose immortal life is a smile (Dear Leader, 20). This was propagated by his son, and co-member of the NK trinity, Kim Jong Il. By reinforcing the deity of his father, Kim Jong Il was setting the stage for his own honor and reverence. Consider the fact that NKs now say a star appeared overhead when Kim Jong Il was born in a humble log cabin in the snowy midwinter. Mr. Jang’s experience with Kim Jong Il caused me to think of the various Bible stories that tell of people who had the opportunity to experience the divine. No doubt, their expectations were high as well, but instead of being disappointed like Mr. Jang, they were overwhelmed with the greatness of God. Remember when Moses had the opportunity to experience the glory of God? God himself had to go to great lengths to protect Moses because “man shall not see God and live,” and even then the very skin of his face shone because he had been talking with God. Or consider Paul, who after meeting Christ, fell to the ground and was struck blind. And of course, the great worship scene in Revelation 7, where the elders and the four living creatures fell on their faces before the throne and worshiped God. Take notice of how different Mr. Jang’s reaction was when he first met Kim Jong Il. He has taken off his shoes. Even the General suffers the curse of sore feet! I had always thought him divine, not even needing to use the toilet . . . But here I am, looking into his shoes, which have high heels and an inner platform at least two and half inches high. Those shoes have deceived his people. Although his thin, permed hair adds to the illusion of height, the Dear Leader can’t be more than five feet three inches without those shoes (Dear Leader, 20). The difference is not so much in the expectations, but in the one with whom the expectations are placed. Moses, Paul and the author of Revelation experienced the true and living God, while Mr. Jang experienced a well-orchestrated imitation. And as well-thought and well-planned as that imitation was, Mr. Jang quickly realized it for what it was. As potentially dangerous as “dashed expectations” are to the North Korean regime, it is not nearly as dangerous as having those expectations met by someone other than Kim Il Sung. This is precisely the reason why Christianity is so dangerous to North Korea. Christianity not only has the power to expose Juche and the Kim family for being nothing more than a cheap imitation, but it has the power to reveal the one true living God! This entry was posted in Bible, North Korea, Worship and tagged Dear Leader, Great expectations, Jang Jin Sung, Kim Il Sung, Kim Jong Il. Bookmark the permalink. Your thoughts are insightful. It is a phenomenon to know North Koreans can escape from this carefully orchestrated facade. So grateful to have direct access to the bible which does, indeed, have the power to reveal the one true living God.